For all grades: Crayola, Elmer’s and Ticonderoga brand supplies work best. Click here to download a printable supply list. Please DO NOT label Kindergarten supplies. Please DO NOT label 1st grade supplies. 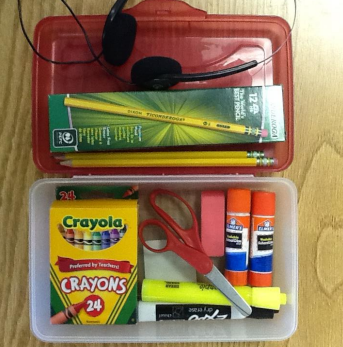 Please label 2nd grade supplies with student name (refer to photo).